Superior Airways / Severn Enterprise operation from the late 1960's to 1974. This is the main dock at the base. It has a floating dock attached on each side at the end. The water looks to be low as the floating docks are sitting a few feet below the main section. Four aircraft are in the photo. Cessna 180 CF-VSD is tied to the dock. It has a set of PeeKay 3500 floats installed. only be four years old in this photograph. that I believe were painted white. 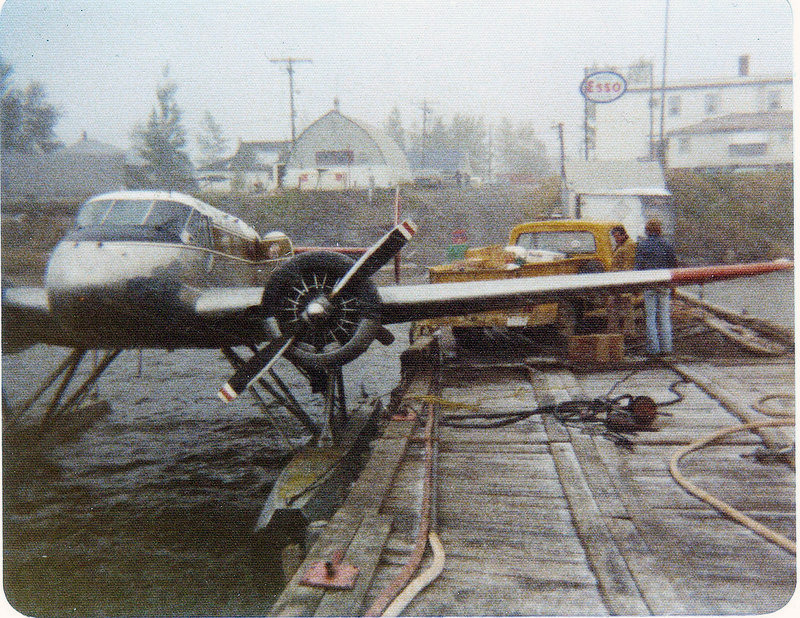 Beech 18 CF-YQB is tied to the dock behind VSD. The fourth aircraft in the photo is Norseman CF-HQD. The aircraft is taxing into the bay. 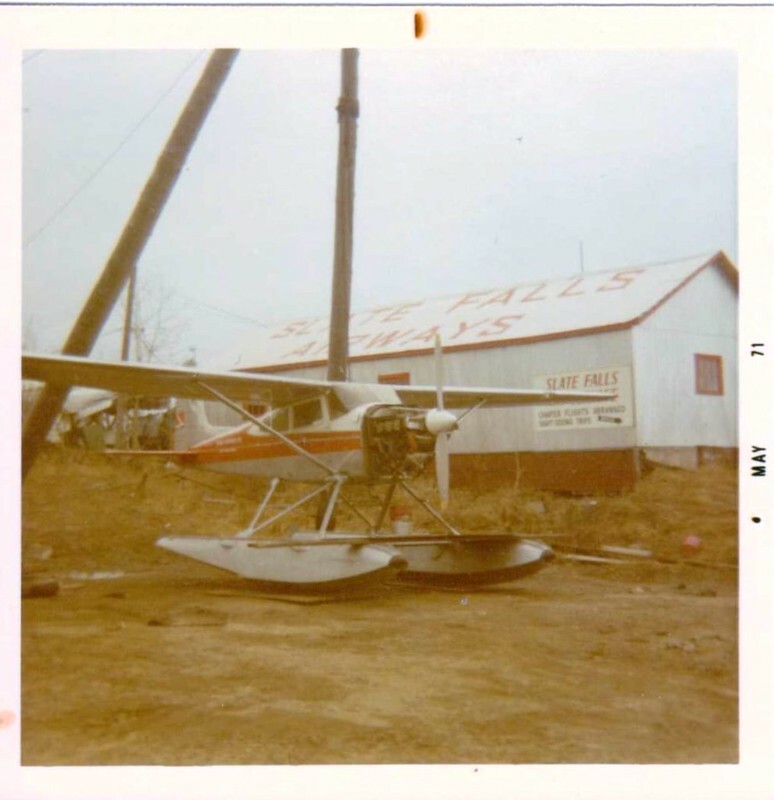 rebuild in the late 1960's carried the name Slate Falls Trading on its fuselage. 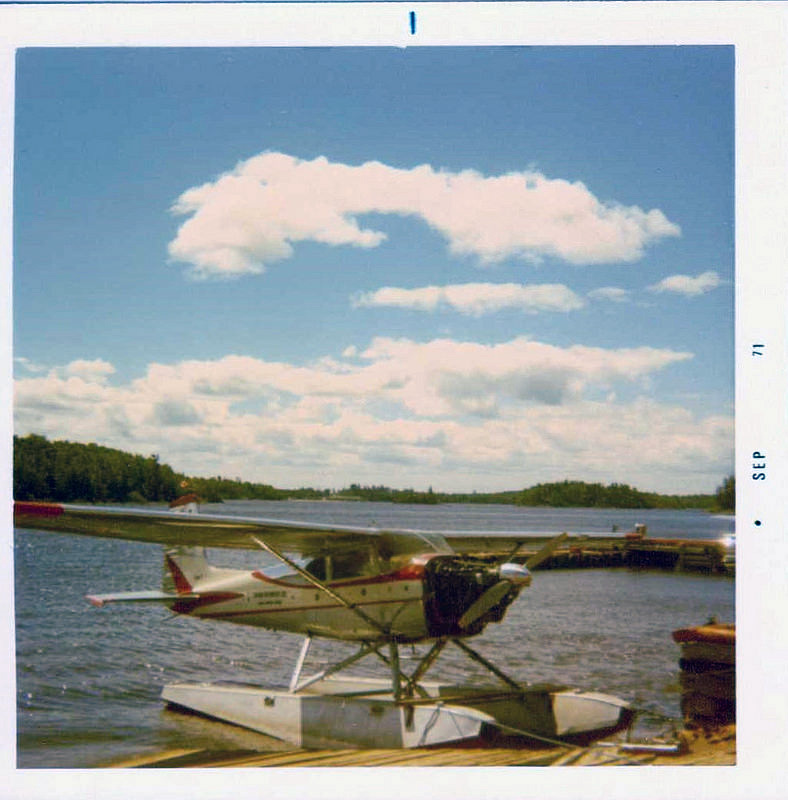 Attached is a photo of DeHavilland Beaver CF-GQU taken at Sioux Lookout in August 1971.
round. The aircraft's paint was beginning to fade and was peeling in a number of areas. prepared for repainting at the dock. the shop and installed. The removable plywood floor boards were also replaced. paint scheme once all the paper and masking tape was removed. repainted in the shop. They have not yet been reinstalled. a tarp to protect it from overspray. 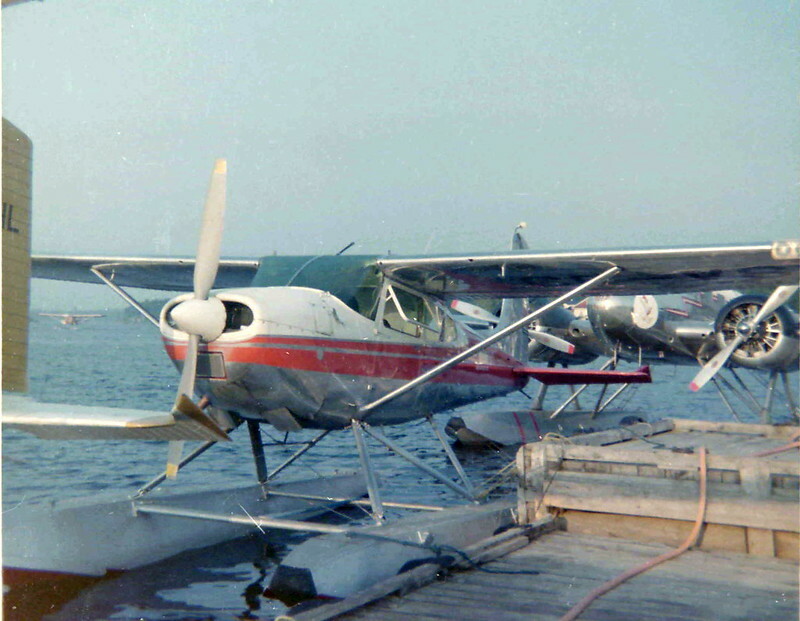 Beaver CF-GQU in August 1971.
from the rest of the Severn Enterprise / Superior Airways red, white and black aircraft. Only the wing tips on GQU were painted white. small black pin stripe separating the white from the red paint. engine change. Even then those were done quickly so the aircraft could return to flying. at Northumbrian's outpost camp at Wapesi Lake approx 40 miles northwest of Sioux Lookout. 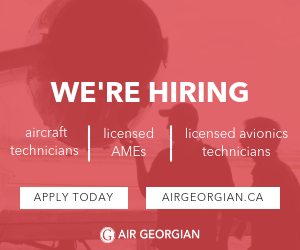 aircraft quite busy all summer between their flights that serviced the northern communities. 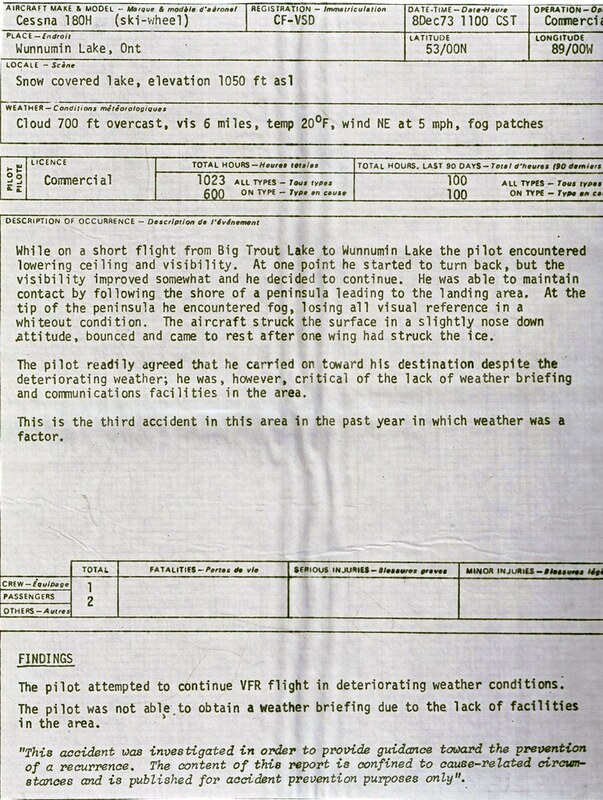 A bit more information about Abram Lake. packed by rollers and the sides were marked with pine trees in the winter. 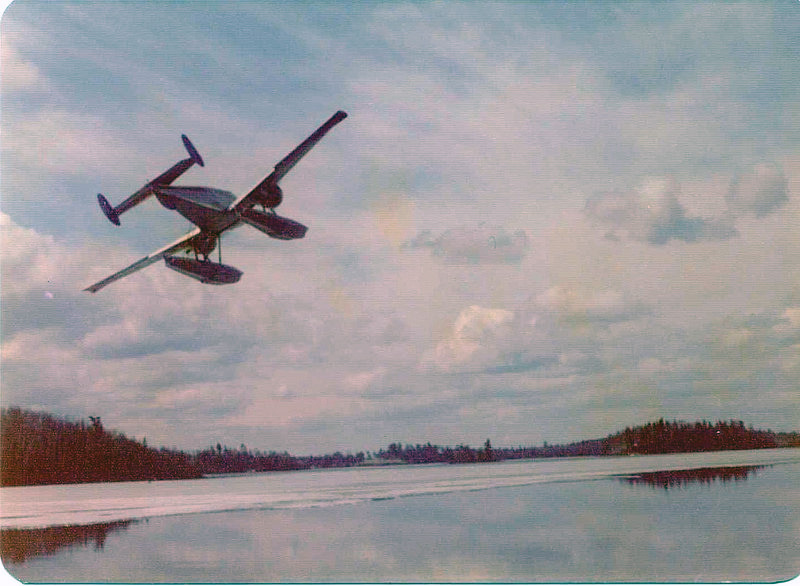 Attached is a photo of Beech 18 CF-ZQR taken in Pickle Lake. Beech as the base was always very busy in both summer and winter. Mr. Wieben sold the Sioux Lookout base in September 1974. Interesting photo at PL. Just up the hill on the right is the old Pickle Lake Hotel with it’s Men’s only beer parlour. Proprietors were Mr. and Mrs. Graves. Farther up on the left is the vague outline of Charlie Davidson’s store. Any idea who the 2 fellows on the dock are? in or the date of the ad. Sometime in the early 1960's. 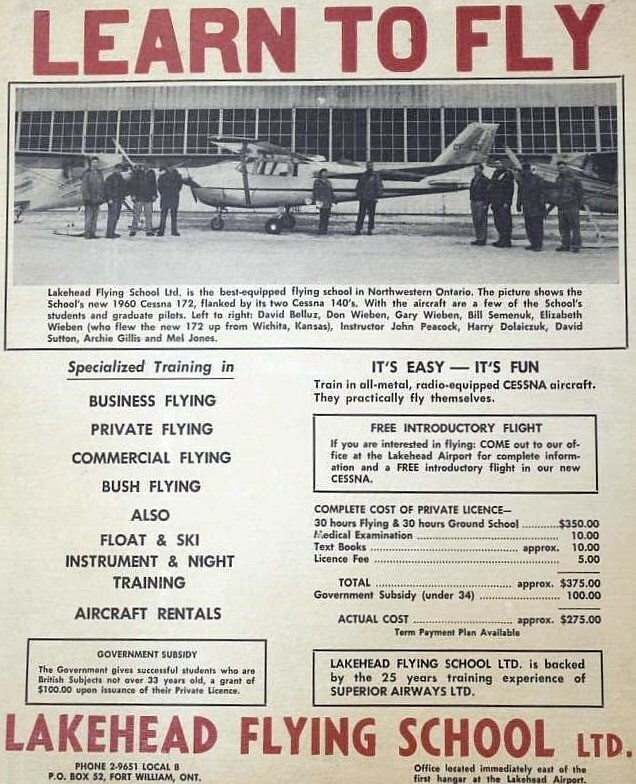 Lakehead Flying School went on to fly for Superior Airways and Severn Enterprise. pilots in Thunder Bay. A lot of different aircraft were flown by the school over those years. that flew for the school in the early years. Sioux during a cross country training flight. It may have been purple in colour? is on page 5 of this thread. The registration in the photo is C-FXWU. Cessna 172 CF-VBW. 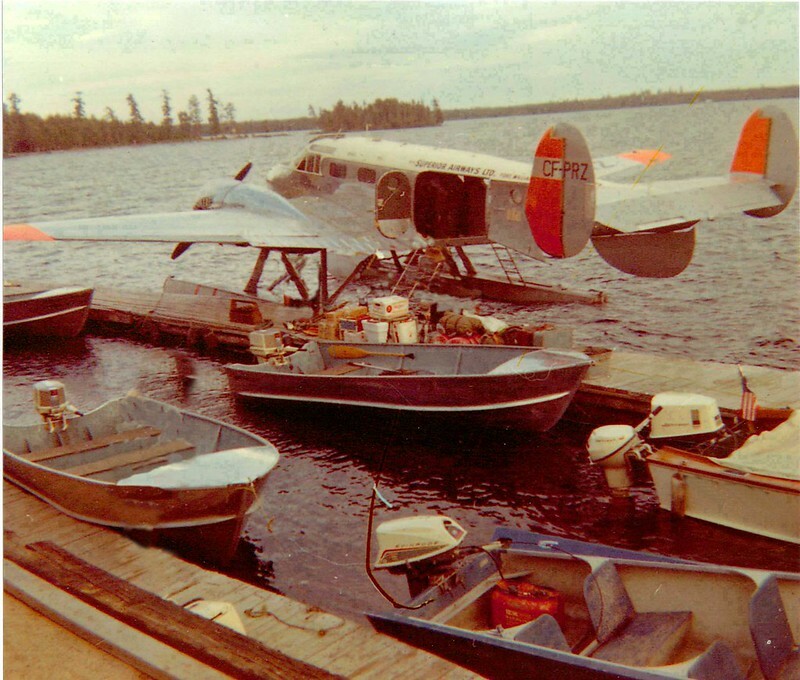 This aircraft also flew on floats in the summer out of Sioux Lookout. have been a flying school aircraft. Thanks for the memories !! and two passengers on board. reason that I can't recall. flew DC-3 CF-XPK out of Sioux a lot, but it had a small door. No cargo door. apart and flown out in one of the company DC-3's on skis. was posted above on Jan 07.
or so after the accident. 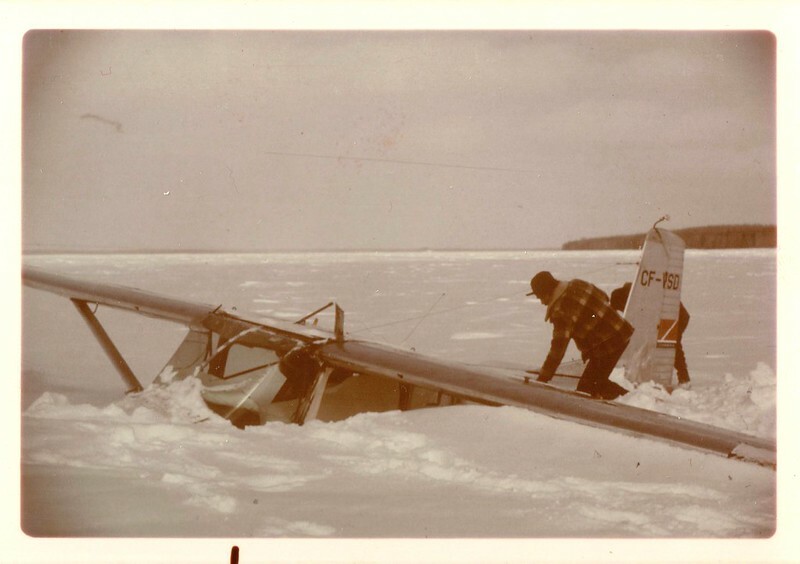 aircraft sat in slush about six inches or so deep. fuselage was placed on a sleigh so it could be moved with a ski-doo. away from the fuselage are evident. So is the snow that drifted into the interior. Are you aware of a fatal accident on October 31st, 1971 that happened in/around this area? Been trying to find out information on it and I've heard some talk that the operator was either "Severn Airways" or in/around that part of the world - Severn Lake etc but I can't be sure. Pilot and passengers perished. 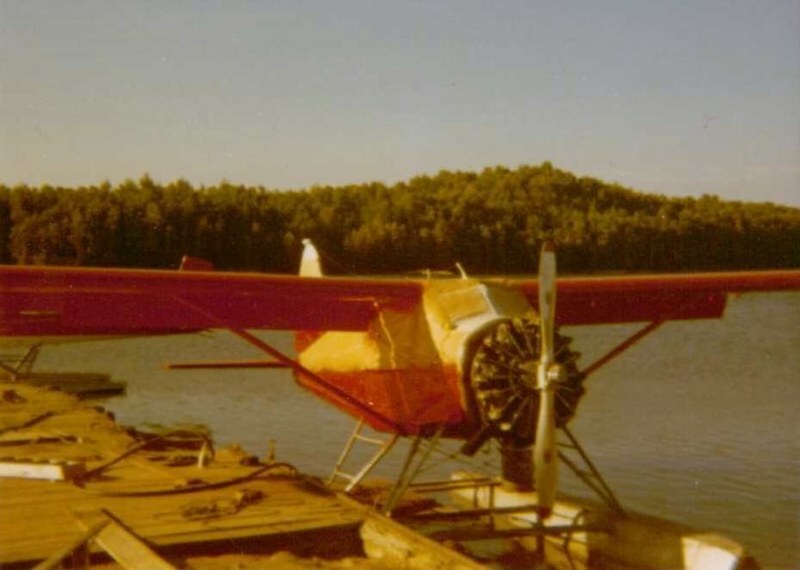 Single engine on floats. This has been fascinating reading. Keep up the excelent work. Thank you so much for the PM. I've tried to PM you back with some more questions but I'm not having success getting it out of my outbox. If in the next few days you don't see my response, please let me know. Thank you again...it means a lot. Yes I got your PM ok a short while ago. I seem to have problems sending and receiving PM’s. Also I can’t seem to find the “Quote” prompt anymore. Thanks. I look forward to any additional information you're willing to share, and will check my PM's more frequently. Thank you for your candour. Wunnummin Lake on Dec 8, 1973. 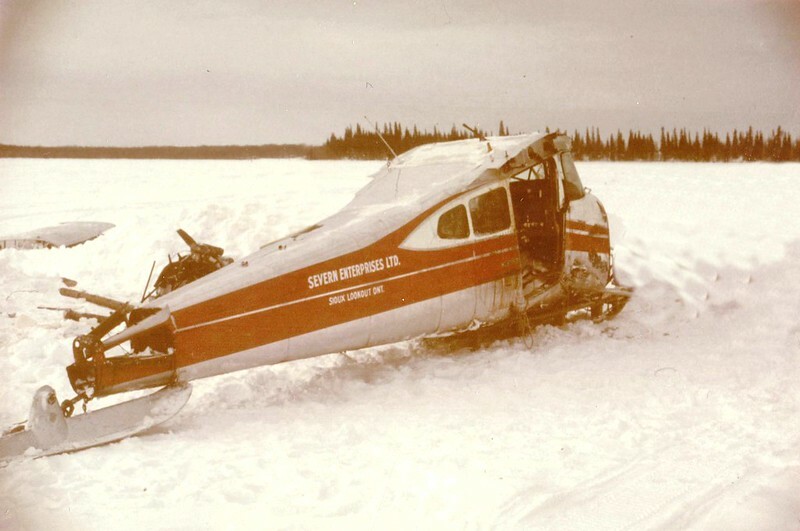 Once the aircraft disassembly was completed the aircraft was placed on a sleigh. A Superior Airways / Severn Enterprise DC-3 on skis flew in and picked up the aircraft. Pickle Lake, Armstrong or Thunder Bay. It was not flown to Sioux Lookout. the aircraft. 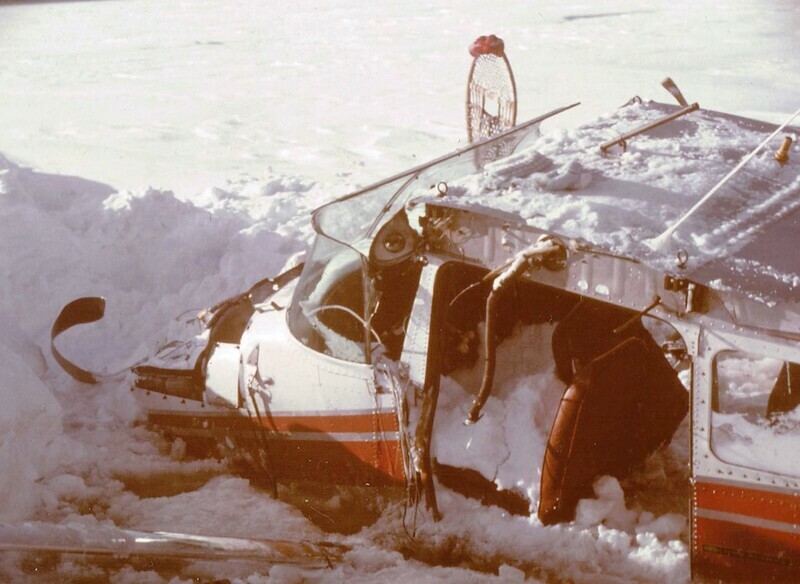 Cessna 180 CF-JQM damaged its right wing landing at I believe Sachigo Lake. A photo of VSD's wing on JQM was posted on June 09, 2012 on page 4 of this thread. 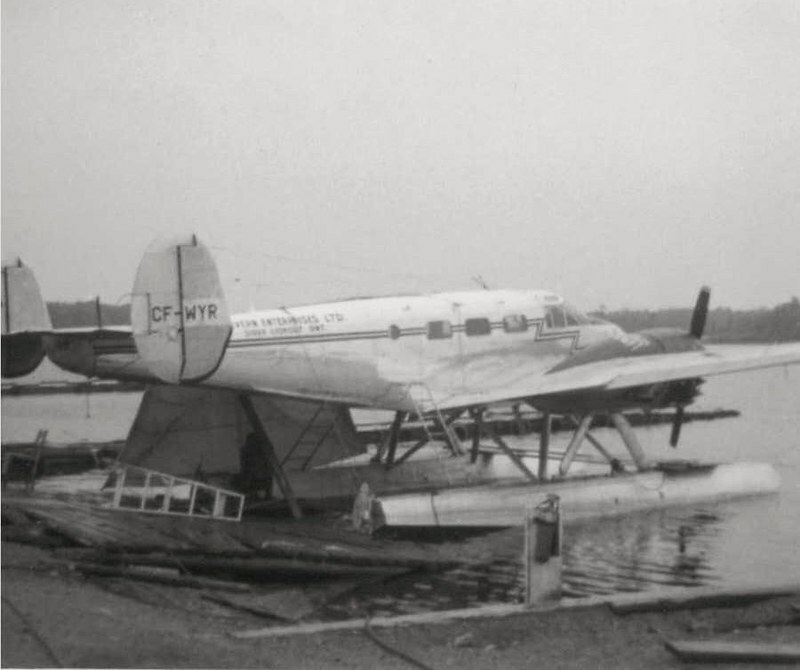 The photo was taken in Sioux Lookout shortly after it arrived from Sachigo Lake. Karl, you gotta put all this stuff on a cd and sell it. This is history, man. water rudder control cable system. of the cooler and it will be removed for float operations. it will be pushed into the water. VGA was a Sioux Lookout based aircraft. Beech 18 was operated on skis. The skis used on the Beech were Wieben Skis. 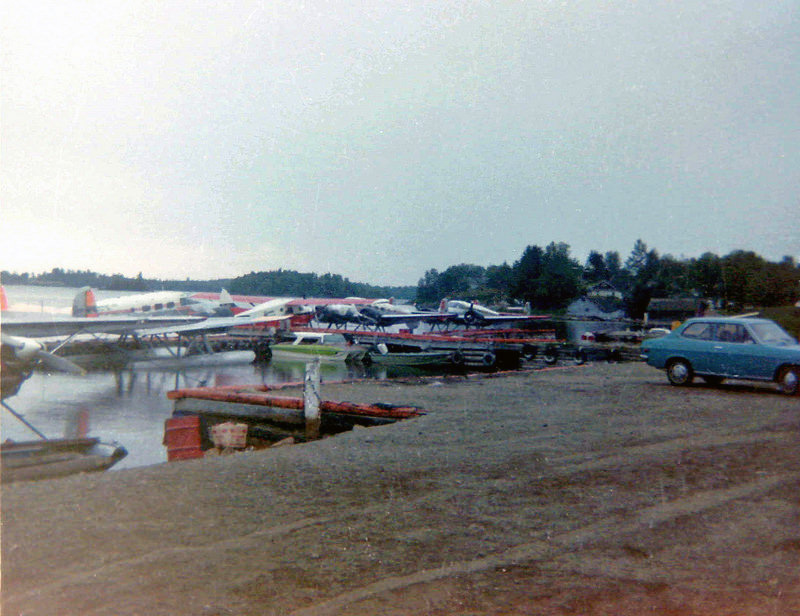 The attached photo was taken in July 1971 at the water base in Sioux Lookout. 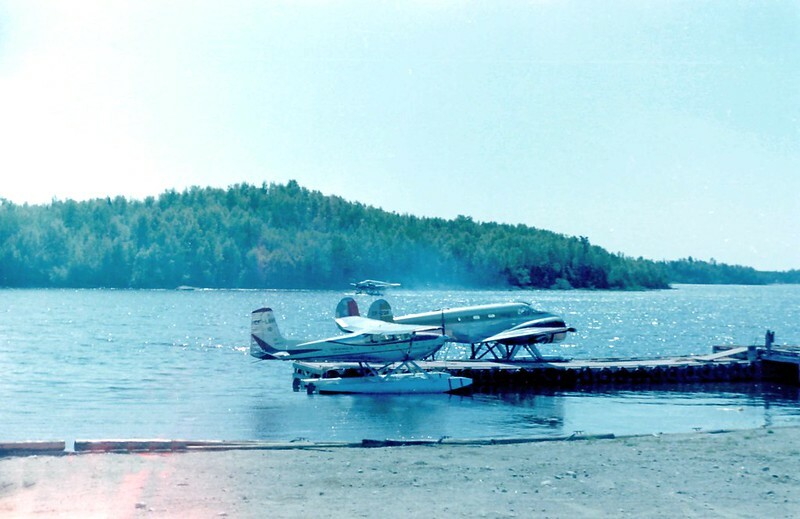 Beech 18 CF-WYR was based in Pickle Lake during the summer of 1971.
are off and engine work is underway as well. base sold was Sioux Lookout. The buyer of the base was Patricia Air Transport (PAT Air). 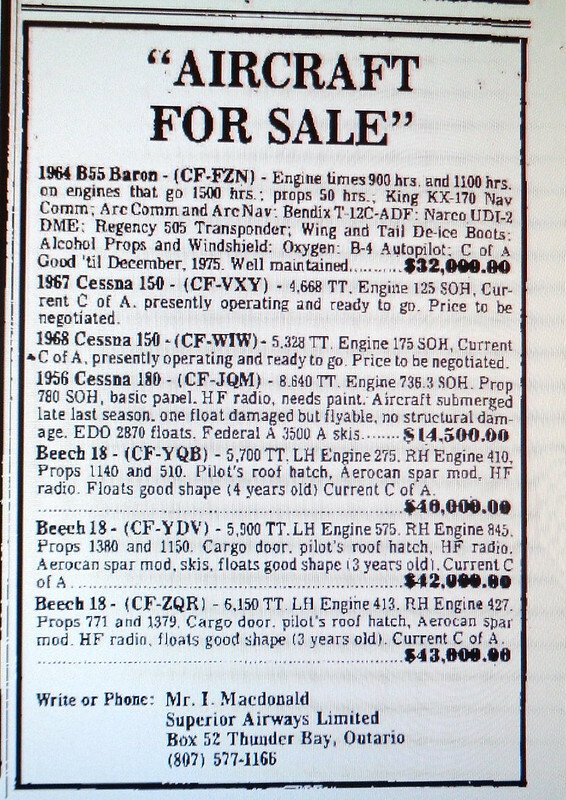 Attached is a newspaper ad that was posted in the Winnipeg Free Press on June 28, 1975. A number of aircraft were put up for sale. 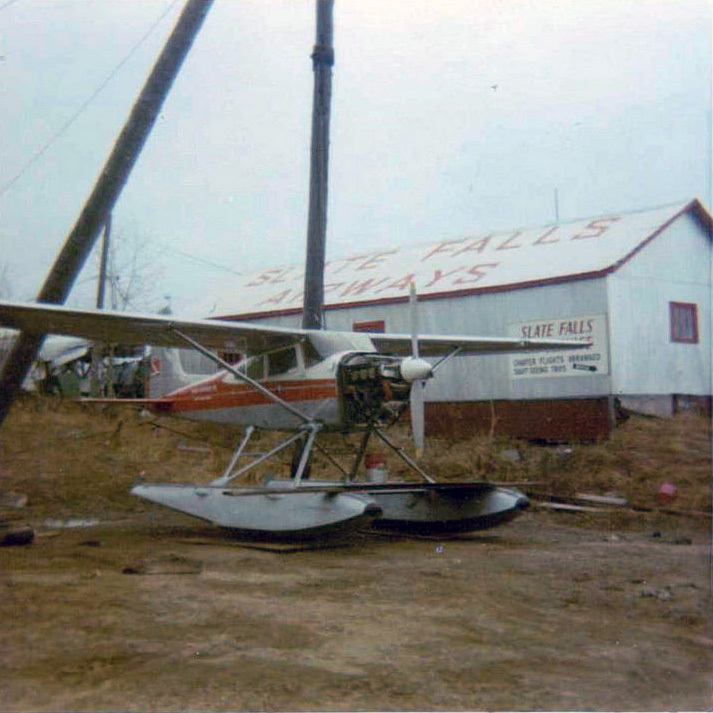 Pickle Lake after the Sioux Base was sold to PAT Air). Beech 18 CF-YDV flew mainly out of Pickle Lake, but was based out of Thunder Bay. Beech Baron CF-FZN was based in Thunder Bay. 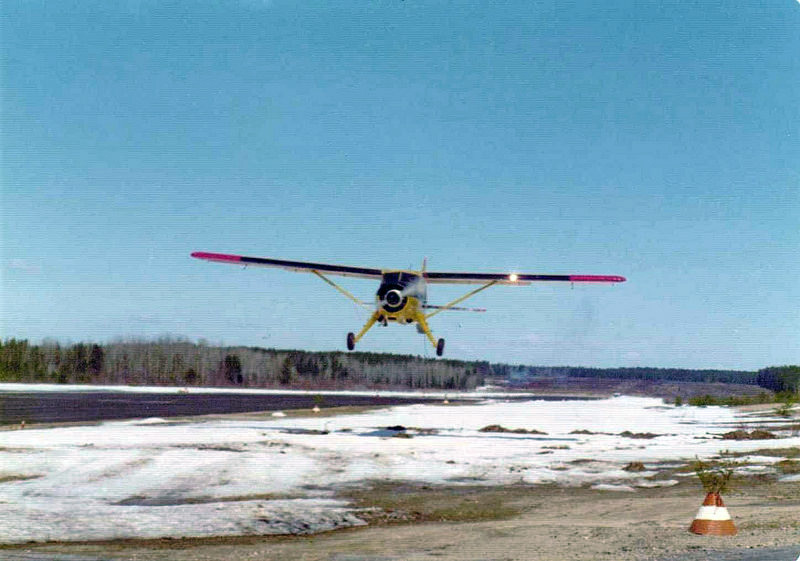 Cessna 150's CF-VXY and CF-WIW were operated by the Lakehead Flying School in Thunder Bay. the outside. This was the first summer for the new docks that the aircraft are tied to. floated over to the main fixed dock and secured into place. discharging a bit of oil though the super charger and it took a few minutes to clear out. The problem was rectified shortly after this photo was taken. Those are some great photos. Had some free time, did some super quick Photoshop colour corrections on some. Hope you don't mind.